So, who am I, Jeri Krassner, formerly an NYC gal working for New York City Hemophilia Chapter, now Special Events Coordinator for RSDSA. I work for Jim and you. And I am a fundraiser and that means I ask people for money, which is hard, but there are two things to remember that make it easy. You are not asking for yourself. You are not asking your family, friends, neighbors and community to help pay your VISA bill or make a car payment. You are asking people to give because you are passionate about the cause, it’s important to you and giving = doing good. I say when someone gives me any amount from $2,500 to $10 Thank You – you just made the world a better place. You can’t top that, and making the world a better place feels good. My goal is to help all the RSDSA folks running special events. To help raise awareness, raise more money, build community and confound expectations. Best of all each event will contribute to the RSDSA mission. We all want better treatments and funding research for a cure. I will leave you with two thoughts – both simple. 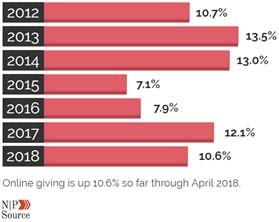 Would you believe the top reason for not donating is the person was not asked? That’s right no one asked that family member, friend, next door neighbor to donate, so they didn’t. Second thought – people like giving to people they know. When a family person, friend, neighbor gives to you it’s personal and the impact is meaningful. Hold onto that when you get shy to ask. Last when out there registering for a walk, race, swim, bike ride, make a team. Be personal and ask your friends, families and neighbors. Ask and ask again. People are busy, they got three emails from Best Buy, so they did not see yours. So, ask and then ask again. It takes 3-6 asks to get your yes. And don’t worry they won’t be mad, and you are not putting them on the spot. You are asking them to make the world a better place and who can say no to that? Please consider making a DONATION to RSDSA today.